Part manifesto for mastery, part playbook for genius-grade productivity and part companion for a life lived beautifully, The 5 AM Club is a book that will transform your life. Forever. 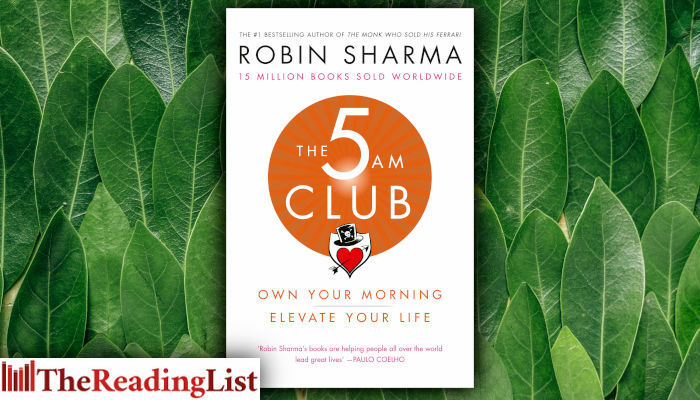 Legendary leadership and elite performance expert Robin Sharma introduced The 5 AM Club concept over 20 years ago, based on a revolutionary morning routine that has helped his clients maximize their productivity, activate their best health and bulletproof their serenity in this age of overwhelming complexity.